The ideal column for carbonyls, fatty acids, glycerides, anilines, fat-soluble vitamins, phthalates, barbiturates, steroids, PTH amino acids, and other acids. The retentive, high-purity packing exhibits excellent peak shape for a wide range of compounds. 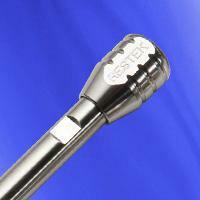 Columns are best suited for general-purpose reversed phase applications.